Meet Tiffany and Aaron. 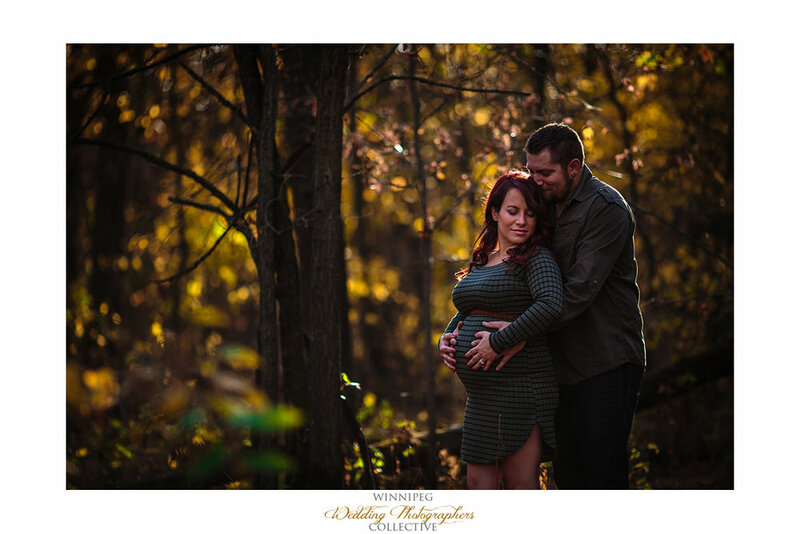 Two wonderful people from southern Manitoba, who are expecting their first child later this year. When coming up with a location, I suggested a quiet, secluded park outside of the city. La Barrier park is wonderful for photos. It’s big and almost always has very few people. Almost always, expect for when we showed up for this shoot. Somehow we missed the memos about a high school marathon competition happening on the paths we were hoping to shoot on. When we finally found each other in the crowds, thankfully, all it took was a few steps into the bushes to find our refuge from the people.